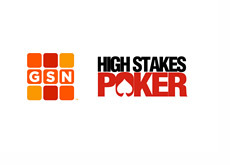 Some of the details are now starting to emerge about the 2008 National Heads-Up Poker Championship, which will be broadcast on NBC. The tournament will follow the same format as the first three years, with 64 players entering the tournament. It will be single knockout; if you win, you move on, if you are eliminated, you go home. The game of choice will be No Limit Hold'em. The tournament will take place at Caesars Palace and will run from February 29th until April 2nd. The tournament will be broadcast in April and May on NBC. First place prize this year will be $500k. It should be a fun event this year. We'll have more details as the event draws closer.